Mixed-used building, with a commercial space on the first floor previously operated as a real estate company. Upper floors framed for 3 apartments. The proper requires renovation, but the exterior in relatively good condition and has great curb appeal. The building is a great opportunity for someone who is looking to operate a business while collecting income from the upper units to defray the business' operating expenses. 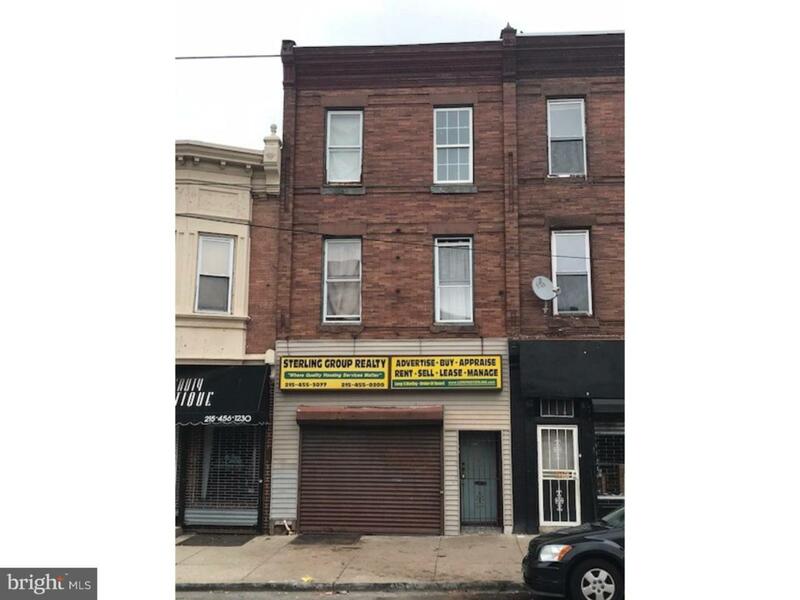 The building is located on a heavily traveled sector of Germantown Ave. with high visibility. The property is convenient to Broad Street, Germantown and public transportation. Cross Street St. Pauls St. Listing courtesy of Century 21 Cornerstone Realtors.